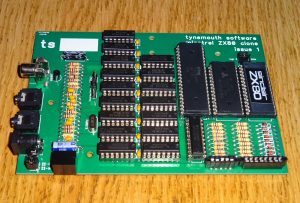 Dave Curan recreated ZX80 with ZX81 footprint. It is a clone of ZX80 as it use same chips and the original schematic with few hack for modern usage like video signal, single chip ram, bigger (EP)ROM and with ZX81 form factor. 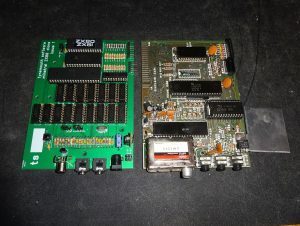 Chips used are Z80 and for logic are used 74LS TTL chips. A jumper on the board selects the 4K ZX80 BASIC or 8K ZX81 BASIC ROM. So this can become a ZX81.